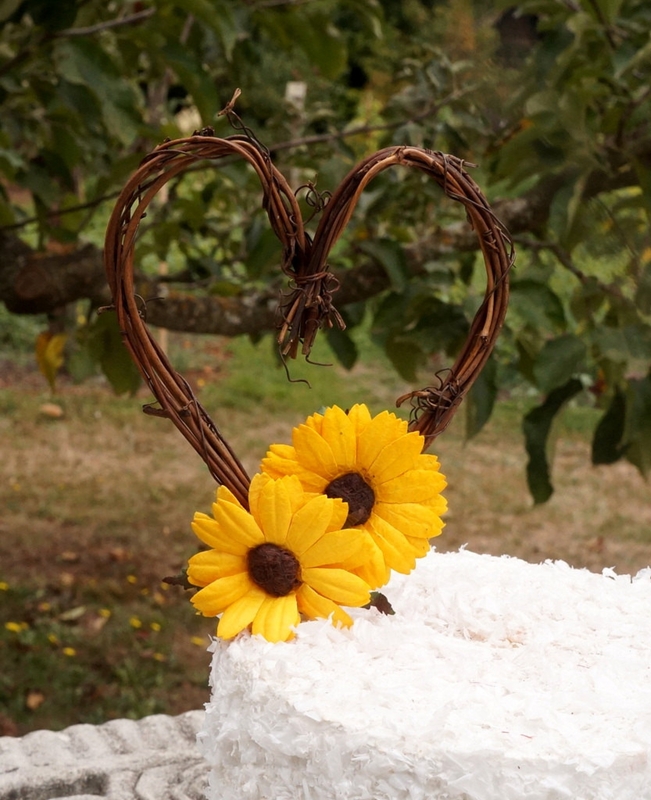 Rustic natural grapevine cake topper accented with optional bright yellow sunflowers. 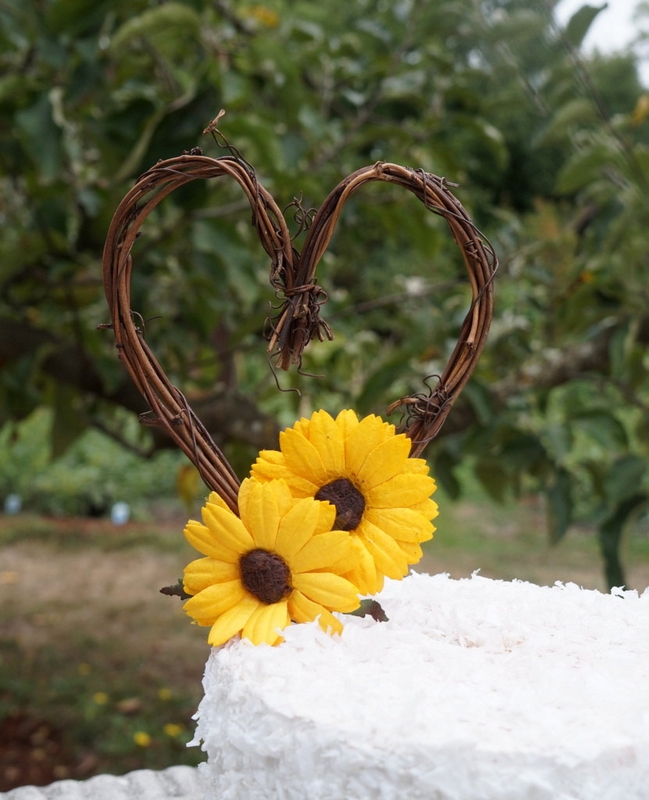 Perfect for honey bee themed baby shower, Autumn wedding decor, bridal shower, anniversaries and other celebration of LOVE! The paper sunflowers are a vivid yellow shade. 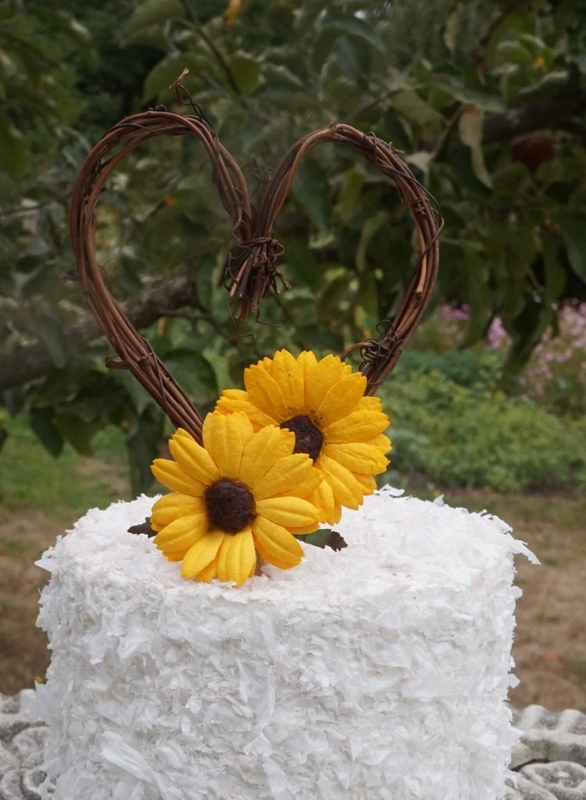 Made out of grapevine, paper sunflowers and comes with a wooden dowel for insertion into your cake. Measures approximately 4 inches at width of heart and about 6 inches including length of dowel. Please contact us if you need shorter or longer.